First – and we can’t state this strongly enough – start with good cheese. None of this low-fat or tasteless garbage. 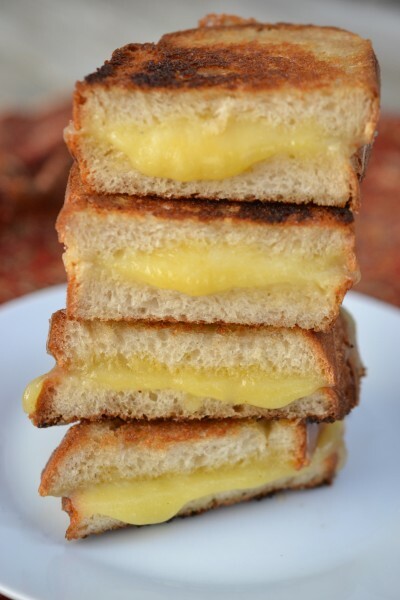 (Yes, we know you can make a “classic” grilled cheese with American cheese but we’re trying to steer the family from processed foods to “real” foods.) 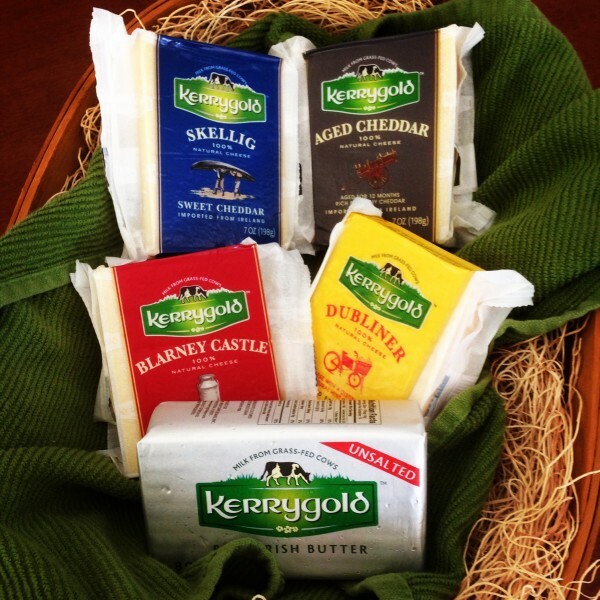 We’re partial to Kerrygold cheeses, which are made from grass-fed Irish cows. They’re rich, flavorful, and great for melting on just about anything. You’ve got plenty of varieties of cheeses to choose from, but our current favorite is Skellig, a creamy and full-flavored mild cheddar. We also use Kerrygold butter for frying. You also want to choose a good bread. Plain sliced white bread is always a classic but you can get a little more flavor and nuttiness with whole wheat. If you’re using a loaf of bakery-style bread like a French bread, sourdough, or ciabatta, just make sure the bread isn’t too holey (cheese drips through) and the slices are cut evenly and not too thick. Day-old bread is fine, and possibly even better, because it holds together better than fresh bread. Grate or shred your cheese (or cut it into small pieces) because natural cheese melts better this way. Grate the cheese while it’s cold and firm to make the task easier. Grate the cheese as close to cooking time as possible because once your cheese is grated it will begin to lose its flavor. Heat a frying pan (cast iron pan is best) over low heat with butter or a combination of butter and olive oil. Don’t let the butter burn. Know that natural cheeses take a little longer to melt, so keep the pan at a medium-low temperature (this will also keep the cheese from becoming tough and stringy). Too-high heat will mean burned bread and not-melted cheese. Ugh. Spread a few dabs of butter on the outside of the bread so that you’ll get each side perfectly golden and crispy. Cover the sandwich with the lid from a pot while you cook it – this will help the cheese melt faster. Patience, grasshopper. When you’re cooking at low heat, it will take a little longer, but it’ll be worth it. Mouth watering yet? We haven’t even gotten to the add-ons! Apples, olives, dried and cured meats, and tomatoes are some of the favorites in our family. 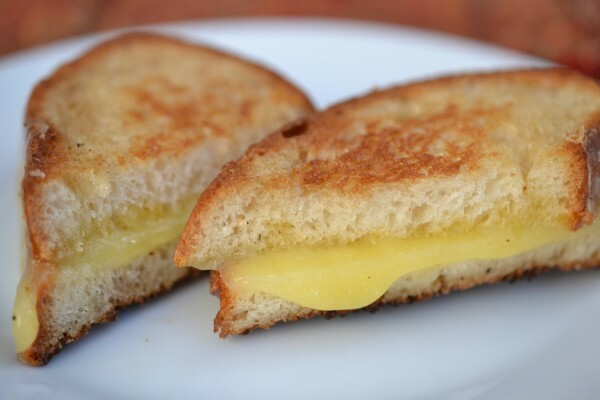 If there’s something special you love to add to your grilled cheese, let us know in the comments!